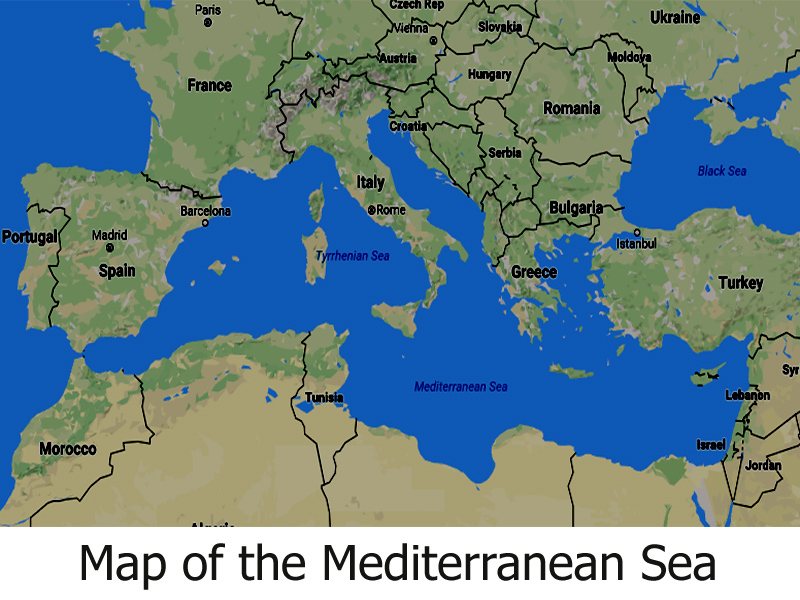 Here are some map of the maps of the Mediterranean sea. The sea separates the continents of Europe and Africa which make the northern and southern limit of it. 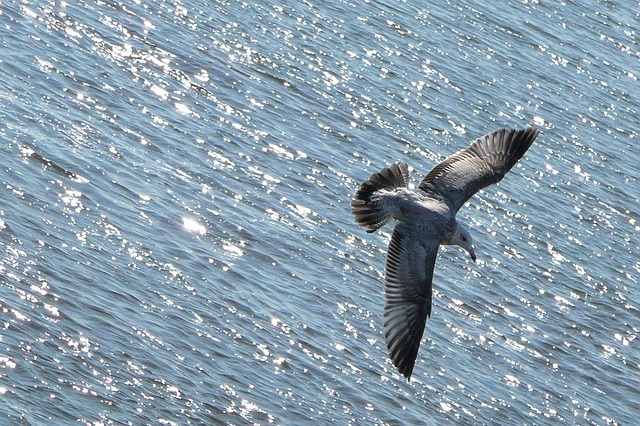 At its widest the sea is over 1000 mile wide. The distance between the eastern most point to the western most point across the sea is 2400 mile long. The approximate area covered by the blue turbulent waters of the sea is 965000 sq mi or 2.5 million square km. The average depth is 4900 ft or 1500 mt. The deepest point is 17280 ft or 5267 mt (Calypso Deep). 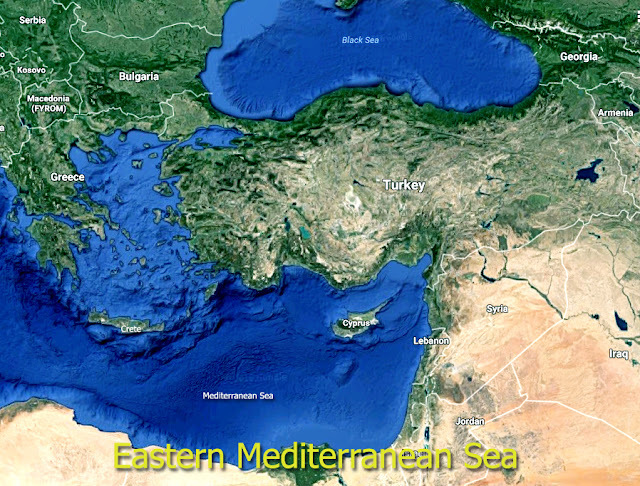 The eastern part of the Mediterranean sea is bounded by three continents - Europe in the north, Africa in the south and Asia in the west. The northern part is connected with the Black Sea via the narrow Bosphorus straight. The northern part is also dominated by scores of small islands controlled by Greece and Turkey. 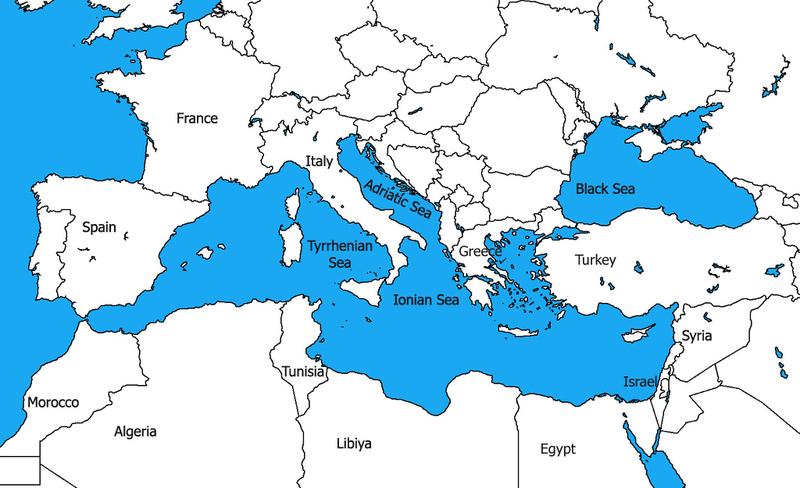 The central or middle portion of the Mediterranean Sea does not have many islands. 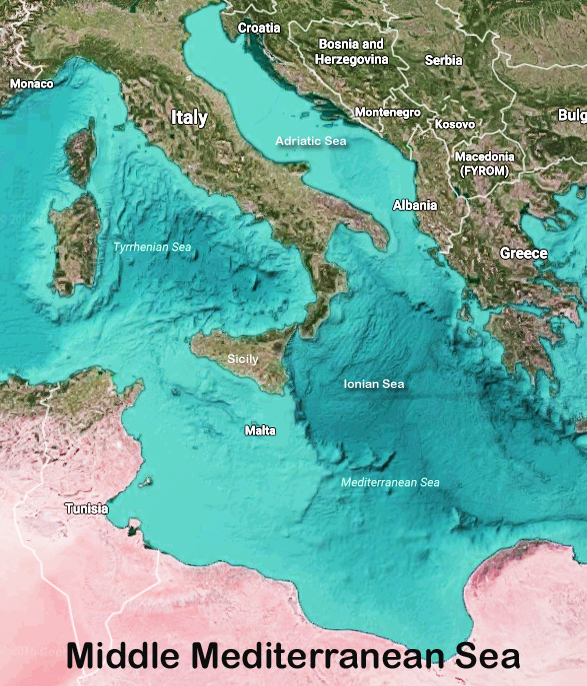 The most notable feature of this area is the two long peninsulas of Italy and Greece. There is a sea named Adriatic Sea beside the Italian peninsula. The western part of the Mediterranean sea is connected with the Atlantic Ocean by the narrow strait of Gibraltar. There are several big islands here like Sardinia, Corsica, Sicily, and Ibiza. The water along the west coast of Italy and partly surrounded by the islands of Sardinia, Corsica and Sicily is known as Tyrrhenian Sea. 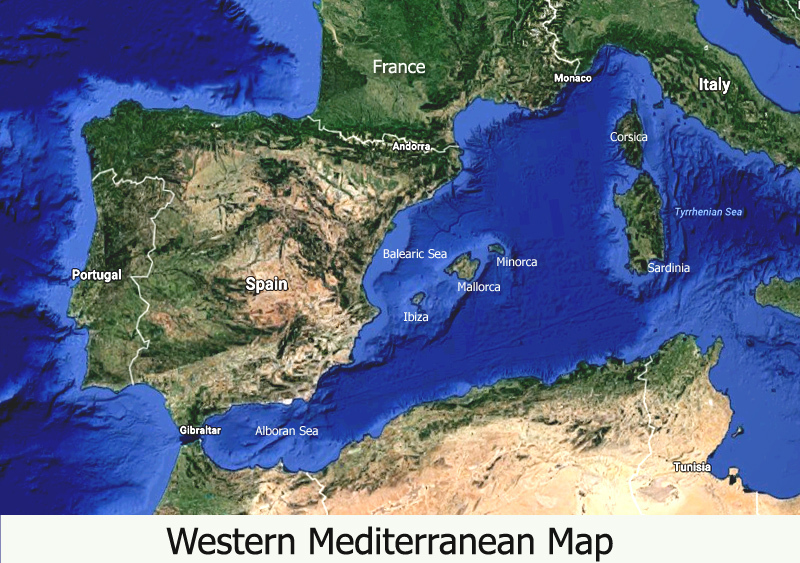 The water along the coast of north western Spain is the Balearic Sea. The western most part of the Mediterranean is the Balearic Sea. It forms the "mouth" of the sea. You may also like our sea and ocean like other articles like those listed below (we like voracious readers like you).